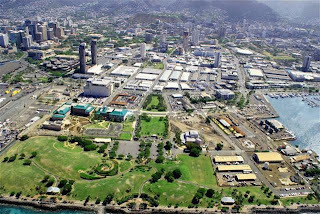 If you are a landowner in the Kakaako Community Development District you should be following the HCDA's revision of the Mauka Area Plan and Rules at http://hcdaweb.org/mauka-area-plan-and-rules-revisions. Depending on your location in the District and your type of use, your project could be subject to 20 percent affordable housing requirements and height restrictions. Though heights are generally increased in the District to 65 feet, the Proposed Plan includes a neighborhood overlay, which could reduce your allowable height. A Supplemental Environmental Impact Statement Preparation Notice for amending the Plan and Rules was filed in December 2007. The accepting authority is the Governor, State of Hawaii, c/o Office of Environmental Quality Control. A working draft of the plan is also available. According to the HDCA web site, the SEIS Preparation Notice public comment period ends on January 22, 2008. Preparation of a Draft SEIS is expected during February 2008 – May 2008.